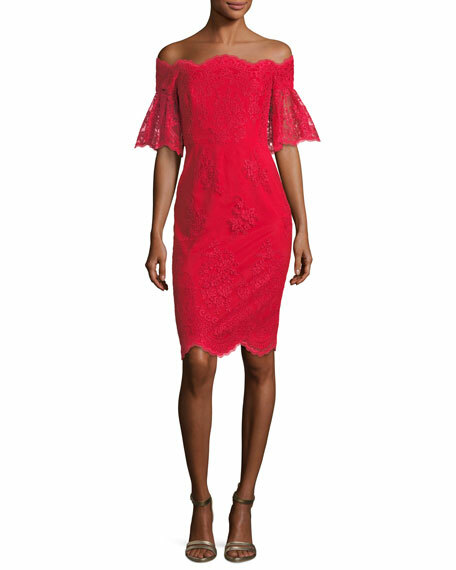 Badgley Mischka lace cocktail dress with scalloped edges. Approx. 39" down center back. 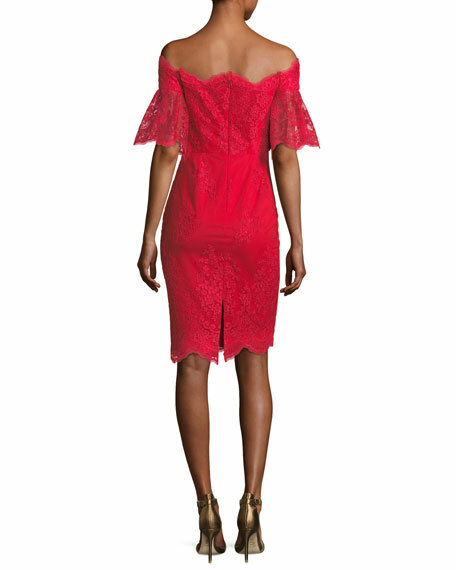 For in-store inquiries, use sku #2319720.